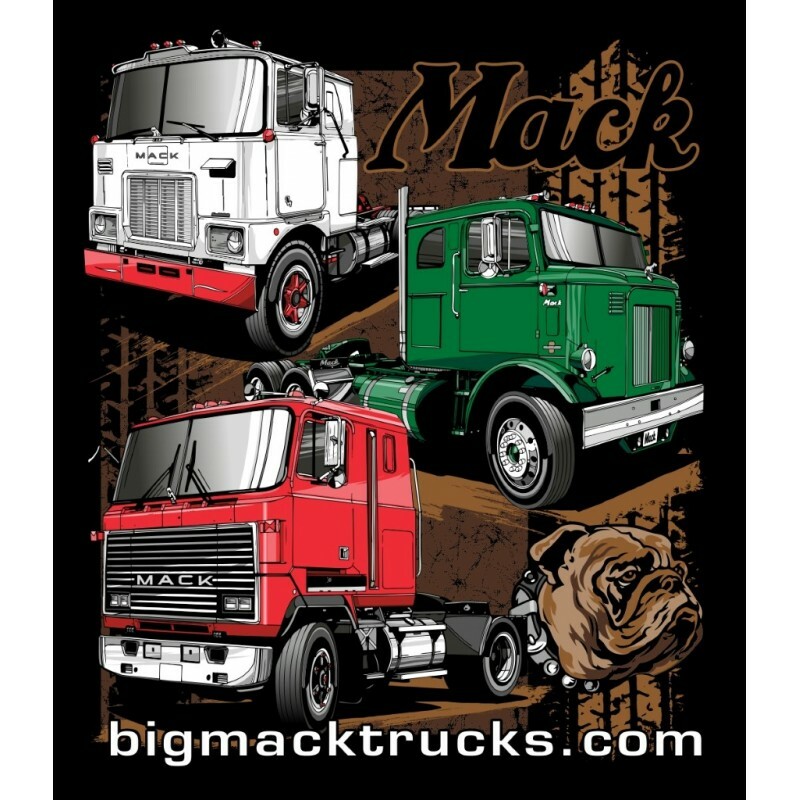 Full color front and back design features 6 famous Mack Truck Models! 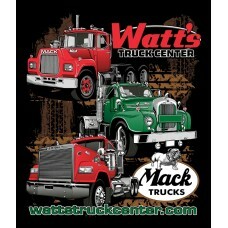 B, R and RW on the back and Cabover's on the front! Available in various kids and adult sizes! 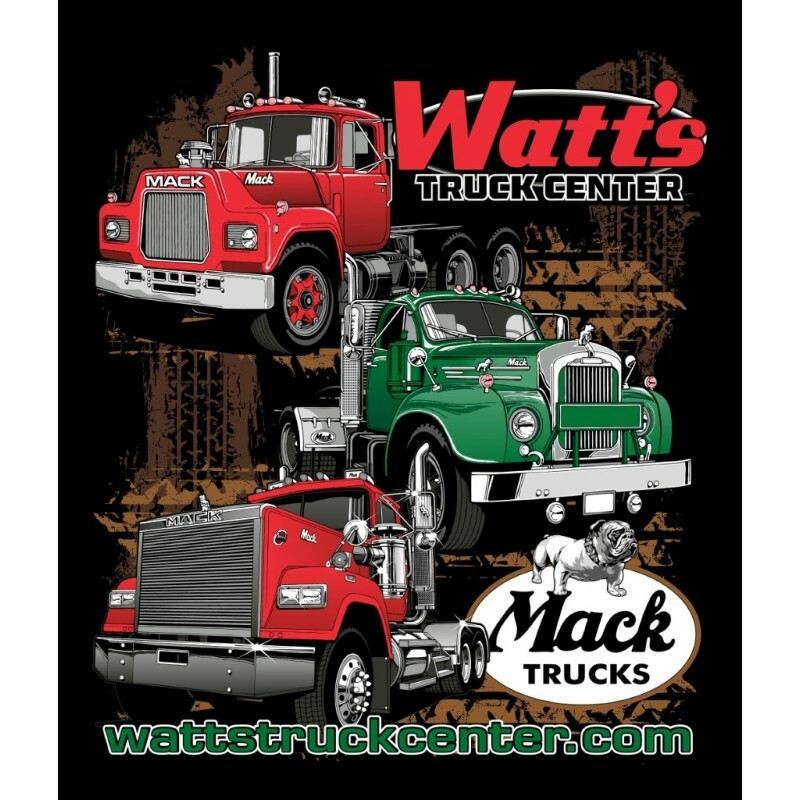 (Kids sizes will come up as $17 ea) Printed on high quality black t-shirt.